Hi, I’m Scott a civil engineer with over 20 years of experience across a range of engineering disciplines; including 7 years with a building contractor working on large-scale water and waste infrastructure projects under Scottish Water frameworks; 7 years with a renewable energy developer delivering onshore wind developments; and the remainder in engineering consultancies delivering a wide variety of projects from residential schemes and educational facilities to industrial and mixed-use developments. In addition to my project participation in design and construction roles, I have also gained significant experience in the Scottish Planning system, procurement processes, and in undertaking the role of Principal Designer on large multi-disciplinary projects. I have a keen interest in the environment and sustainability and feel very fortunate that my career allows me to make a positive contribution to both. After a busy week at work I love to spend time with my wife and young daughter, doing fun activities and going on day trips. My other passion is craft beer and I enjoy searching online and in local bottle shops for new lagers and ales of all styles from breweries around the world. My current favourites are the Belgian Trappist ales which are brewed in monasteries using recipes and yeast strains which have been traced back hundreds of years. I’m also a keen homebrewer and devise my own recipes using just the four main ingredients of malted grains, water, hops and yeast. 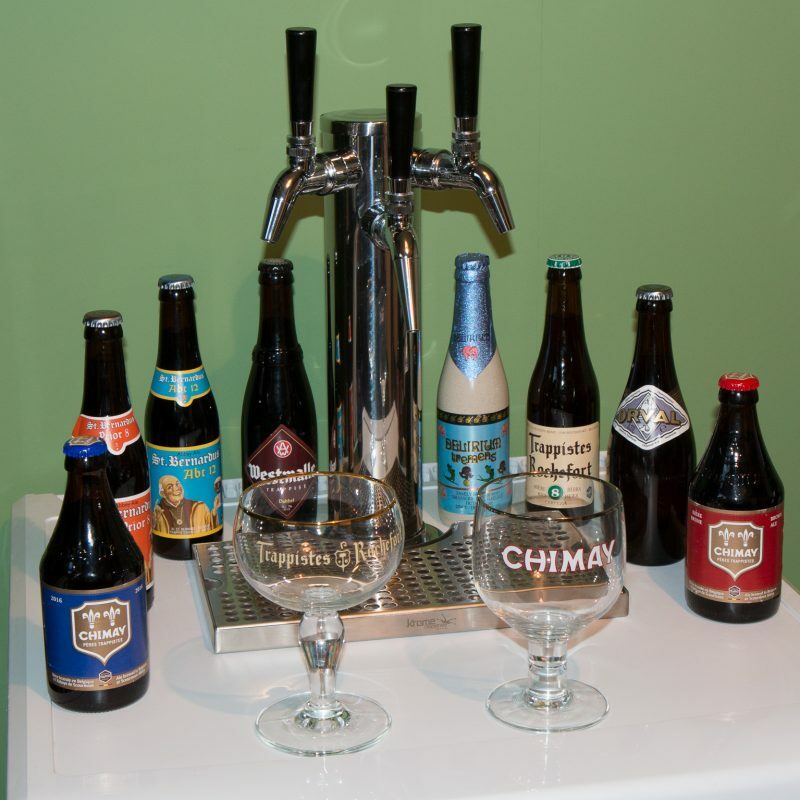 The photograph below shows my homebuilt 3-tap kegerator and a selection of some of my favourite Trappist beers.